The challenge of fusion energy is often equated to capturing—and holding—lightning in a bottle. The analogy is apt. Lightning and a fusion energy plasma have a lot in common. Similarities include very high temperatures, massive electric charges, and extremely complex fluid dynamics. Researchers at the DIII-D National Fusion Facility found another characteristic shared between the two types of plasmas: an odd electromagnetic wave known as a whistler. If their theories are correct, the whistler discovery could help better understand runaway electrons in tokamaks. It could even help control these destructive particles. Runaway electrons are a significant concern for future large tokamak devices such as ITER. These electrons must be mitigated due to their potential to cause significant damage to the walls of plasma-confining tokamaks. Researchers at DIII-D and other fusion facilities are exploring approaches to controlling runaways. While much work remains to be done, the team thinks there is a way to inject whistlers into a plasma to control runaway electrons. The whistlers would bleed energy from the particles, making them less likely to run away. For more than a century, mysterious electromagnetic waves that occur naturally in the earth’s ionosphere—generally caused by lightning—have been detected over telephone lines, antennas, and satellites. They were named whistlers because of their characteristic time-varying frequencies, which are unmistakable when the signals are converted into sound. Theorists have for years predicted that whistlers could exist in a tokamak, but experimentalists were never able to directly observe the waves. Recently, however, a team at DIII-D generated extremely diffuse plasmas with a low magnetic field that yielded the characteristic whistling of the electromagnetic oscillations. That is, researchers at DIII-D were able to measure the presence of whistler waves in a tokamak for the first time. 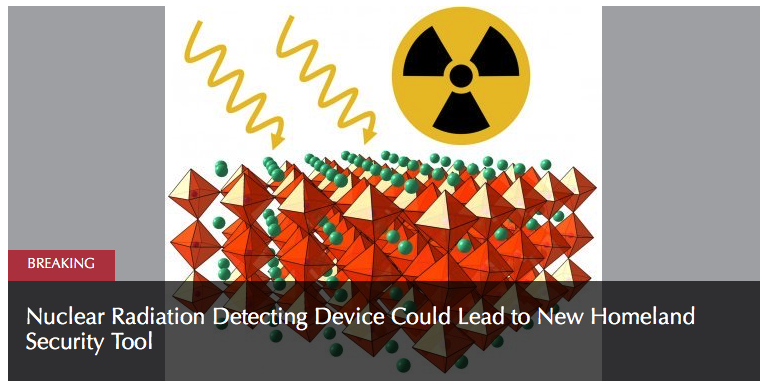 The researchers believe the whistlers are driven by runaway electrons. Runaway electrons develop due to an unusual feature of plasmas—a collisional drag that decreases with increasing velocity. This allows energetic electrons that are in the presence of an electric field in a tokamak to freely accelerate to high energies. Runaway electrons in fusion reactors only reach a terminal velocity as they approach the speed of light, per Einstein’s theory of relativity. These electrons are thus called runaway electrons. To illustrate the oddity of this characteristic, if skydivers experienced the same phenomenon, jumping out of an airplane would always be fatal, since the skydiver depends on increasing drag with increasing speed to provide a terminal velocity. If large fluxes of runaways were to escape the plasma in a fusion reactor, they could cause damage to the surrounding material walls. Whistlers may play a role in regulating the generation and evolution of runaway electrons. The DIII-D experiments show that whistler waves driven by runaway electrons modify the runaways in such a way as to redirect some of their energy. A similar idea is being explored in ionospheric studies of whistler waves. Directed energetic electron components are also present in the ionosphere and can damage satellites. Whistler waves are predicted to mitigate these effects in a manner similar to that being explored in tokamaks. Whistlers also play an important role in space weather and the regulation of earth’s Van Allen belts. The DIII-D experiments provide the first direct evidence that such waves exist in a tokamak and open an exciting new field of exploration that could have critical importance to ITER and other large tokamaks.